Because Linda was Caucasian, blonde woman who was generally quiet and seemingly submissive to her husband's life and career. Yoko was a small, Asian woman who did her own art/music and was bold, brash, and 'loud' in her own very quiet and guarded way. 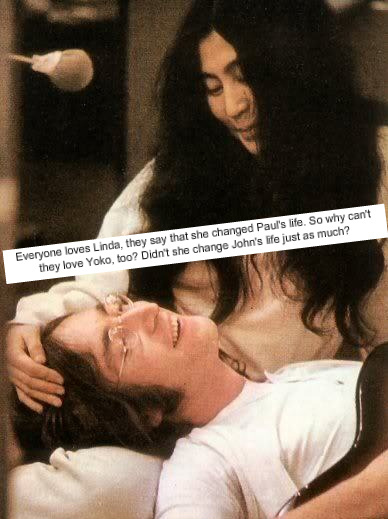 People could get with Linda, but Yoko was hard. Not to dismiss Linda, though, as she was always my favorite McCartney, but you really can't even compare them on every level like some try. She was a pretty conventional/standard choice compared to what Yoko was and that is what caused all the uproar with the people. They couldn't get with that kind of 'different' and some of them STILL can't. Challenge Fly in the Arcade!